Install the secondary air injection pump (1). 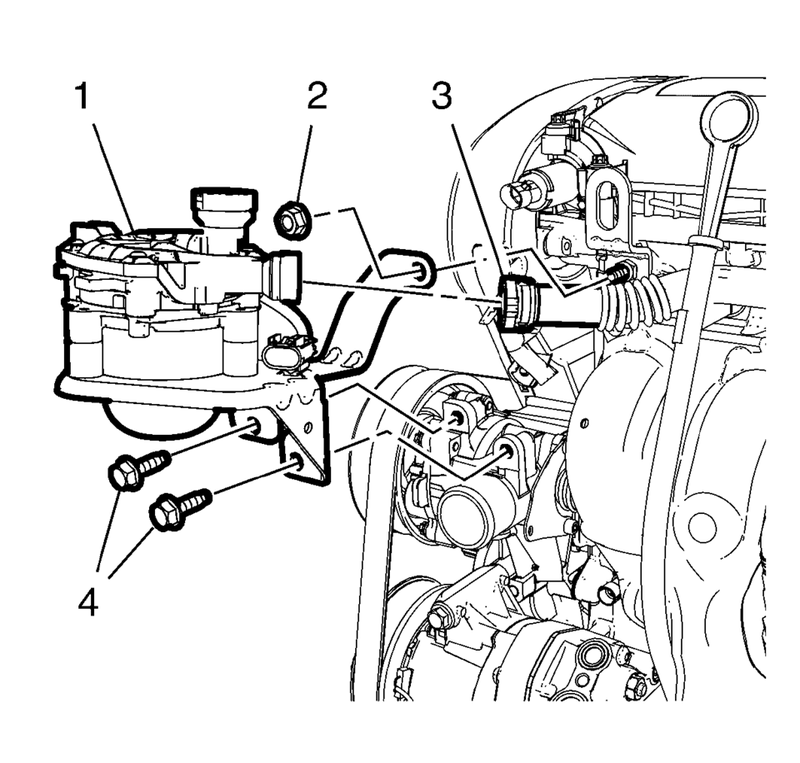 Loosely install the secondary air injection pump nut (2) and the 2 secondary air injection pump bolts (4). Connect the secondary air injection pump pipe (3). Refer to Plastic Collar Quick Connect Fitting Service.